The 1916 film, The Battle of the Somme, shot by Geoffrey Malins and John McDowell, will be accompanied by a full orchestra performing the acclaimed new score by UK composer Laura Rossi, commissioned by the Imperial War Museum. 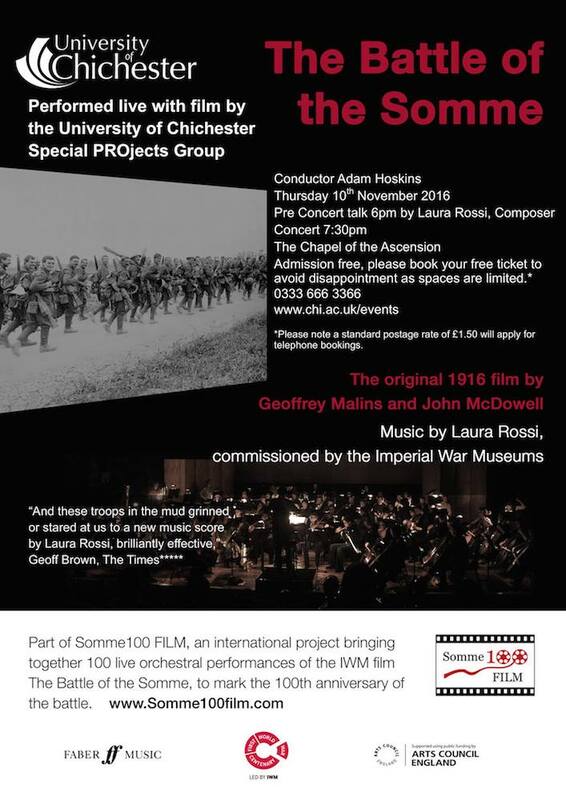 The film will be introduced by Phil Robinson and Laura Rossi and there will be a talk by Laura Rossi on composing for film at 6.00pm. On October 23rd 1916, citizens of Chichester gathered in large crowds to watch ‘The Battle of the Somme’ at Poole’s Pictures on East Street (Corn Exchange Building). 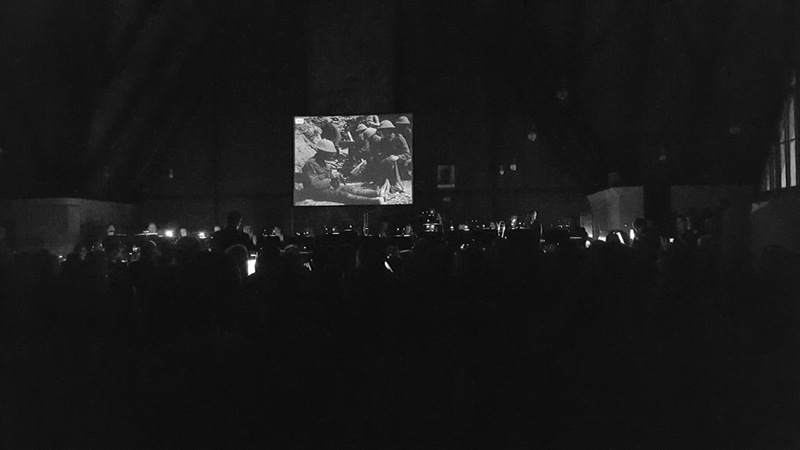 One hundred years to the day after its first showing in Chichester, we can watch this wartime classic and reflect upon the remembrance of the First World War. 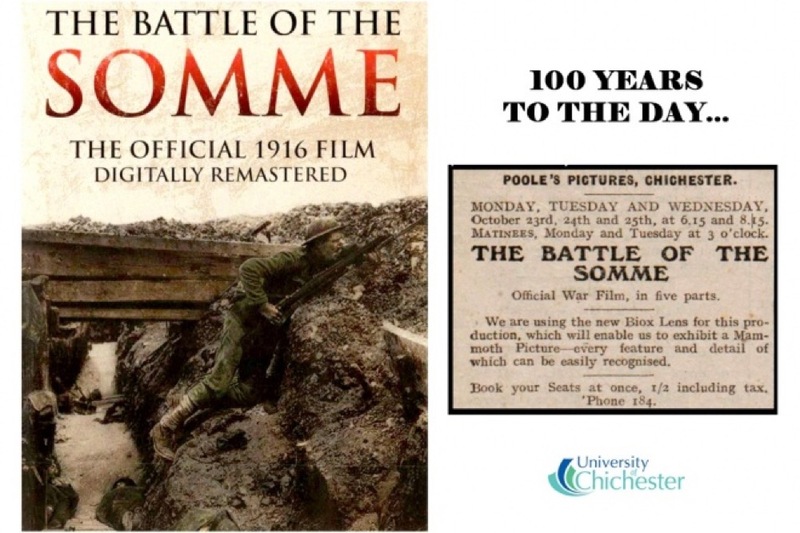 This classic depiction of warfare on the Western Front that was released to the British public in 1916. 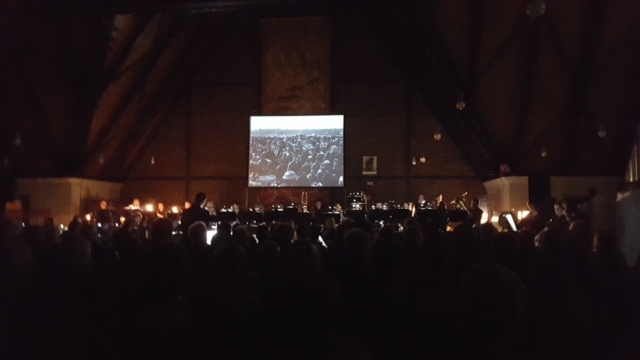 The film had a tremendous impact on individuals and communities as it allowed a connection to the war at the front, and records show that 20 million tickets were sold for the film, at a time when the country had a population of 43 million! 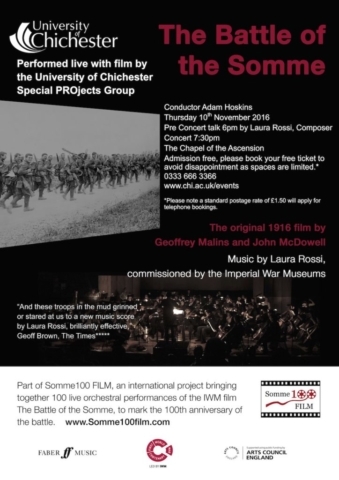 For Chichester, this film brought the war to life for many people who had family or friends serving on the Western Front. 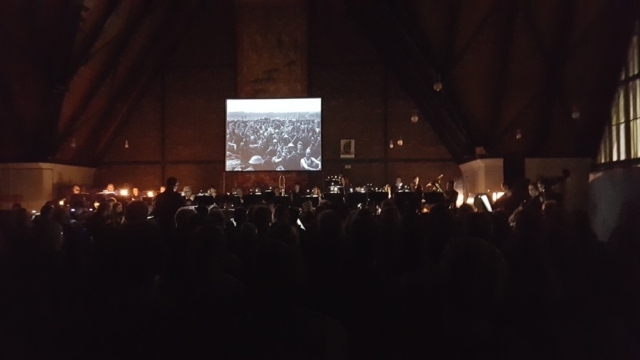 Just as the film allowed a closer connection to what was experienced by individuals during the war, so the film today allows us a closer connection to what wartime life in Chichester was like.